The law office of R Steve Bowden & Associates was founded in 1984 to assist individuals who have been injured or lost a loved one as a result of another's negligence. We have now expanded our practice to other injury, disability, and elderly related matters while retaining our fundamental commitment to helping our clients recover. Contact our Greensboro automobile accident lawyers for a free initial consultation to discuss your needs. We have become well known in the Greensboro community for our advocacy for injured clients and for protecting clients facing difficult insurance companies. 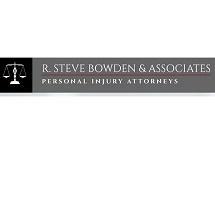 Our firm's founder, R. Steve Bowden, has experience working for an insurance company. Therefore, he truly understands how the insurance claims process works. Through this experience, he has brought an understanding to our firm that the insurance company is not on your side.